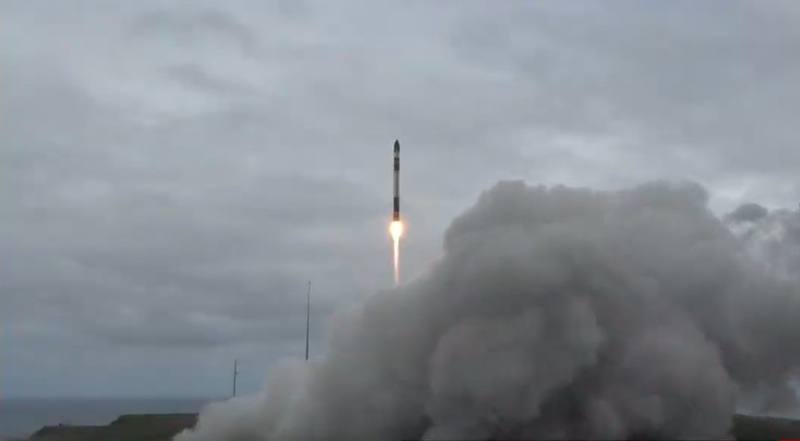 WASHINGTON — Rocket Lab successfully launched an experimental satellite for the Defense Advanced Research Projects Agency March 28 as the company looks to move to a monthly cadence of launches. The company’s Electron rocket lifted off from its private launch site site on New Zealand’s Mahia Peninsula at 7:27 p.m. Eastern. The rocket’s payload, a single DARPA satellite, separated from the upper stage 53 minutes after liftoff. “Great kick stage burn and final orbit. Perfect flight!” Peter Beck, chief executive of Rocket Lab, tweeted. The launch was scheduled for March 24, but delayed shortly before the scheduled liftoff time because of a faulty video transmitter on the rocket. Weather conditions and limited launch windows pushed back the next launch opportunity until March 28. The 150-kilogram satellite was the only payload on the launch as it takes up all the mass and volume available on the rocket. Northrop Grumman is the prime contractor for R3D2, with the antenna provided by MMA Design and the satellite bus by Blue Canyon Technologies. In January, when Rocket Lab announced plans to launch R3D2, the company said this launch was the first of 12 the company expected to carry out in 2019, with an increasing cadence of missions as the year went on. “Basically, our goal for 2019 is to continue to deliver that regular, reliable service to orbit,” Peter Beck, chief executive of Rocket Lab, said in a January interview. The company currently builds one Electron a month, and Beck said prior to this launch that the vehicle for the next mission had completed stage testing and was on its way to the launch site. Rocket Lab hasn’t disclosed the payload or date for that mission.